Vintage Halo Diamond Engagement Ring | Shane Co. Bold and beautiful, this vintage inspired halo engagement ring features 44 round pave-set diamonds, at approximately .50 carat total weight, set in quality 14 karat white gold with hand-engraved detailing. 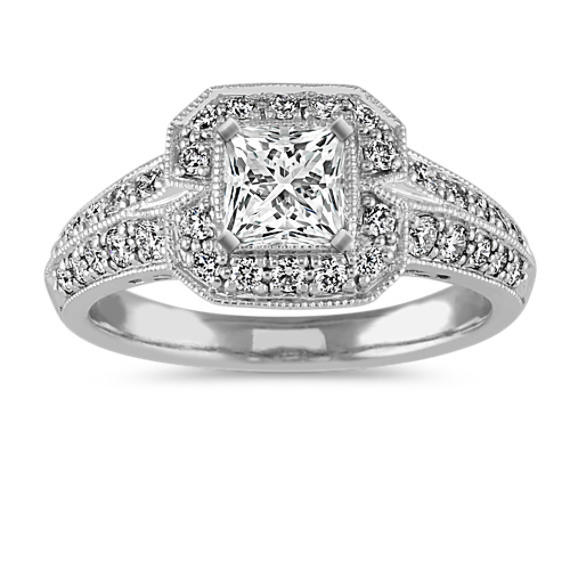 To make this style your own, add the .75 carat center diamond of your choice. Gemstone Carat Weight :.50 ct. t.w.